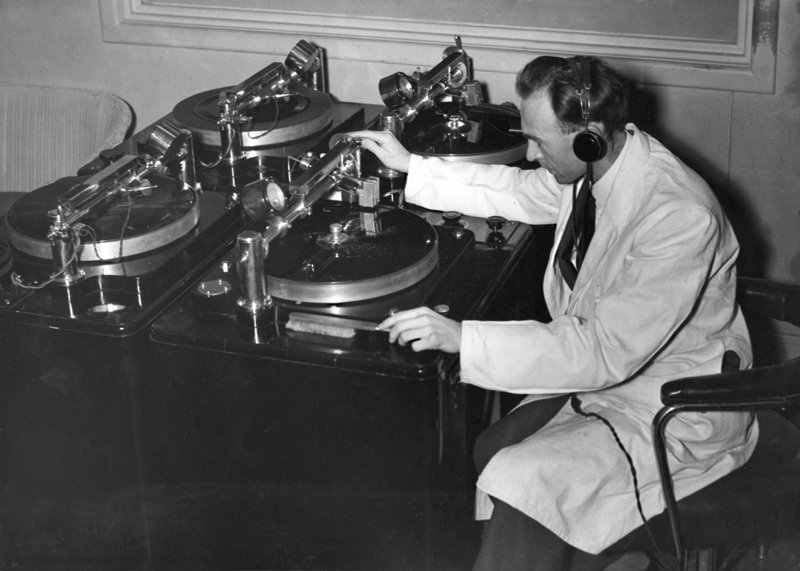 In the sound archives of Ngā Taonga Sound & Vision we can hear accounts from men who were there and survived the mud and machine guns. You can listen to Sarah Johnston and RNZ’s Jesse Mulligan discuss the recordings or read more and find links to the full recordings below. Some historians believe October 12th should really be New Zealand’s national day of remembrance, rather than Anzac Day, as the loss of life on the Western Front was so much greater than Gallipoli. 12,500 New Zealanders died there compared with 2, 779 in the Gallipoli Campaign. Flanders, which is the region on either side of the Belgian-French border, had been the scene of fighting for many months already in October 1917. On October 4th over 300 New Zealanders were killed in the attack on Gravenstafel Spur, but despite the deaths, this action was seen as a success by the British commanders, who felt (mistakenly) that the German forces must now be on the back foot and that another push would see the Allies advance. The region around the village of Passchendaele had been quite heavily forested before the war, but as you can see in these images, the famous woods were now just stumps and the months of shelling had destroyed the landscape completely, leaving huge shell craters filled with water and covering the land in deep, deadly mud. Jim Warner of Te Awamutu was in the Auckland Battalion that was in the first New Zealand attack on October the 4th and he explains how the constant shelling by artillery guns had turned the Flanders countryside into a huge swamp. For miles to the right or the left the country was fouled with the rotting dead, and the country in front and to the rear. Fragments of horses, mules, men – death was indeed a leveller – disabled tanks, equipment sinking in mud, helmets riddled with shrapnel. There were boots, flesh, arms and legs protruding from the mud. The deep mud made it very difficult to transport any supplies and ammunition and it also meant it was almost impossible for the artillery to fire accurately, as the recoil meant the guns moved and sank every time they fired. As Lee explains in this interview, the lack of accurate targeting meant it was hard to stop the enemy effectively – and increased the chances of accidentally hitting our own men. Despite the obstacles Lee outlines: the mud, the lack of supplies and the uncut barbed wire protecting German machine-gun pill-boxes, the order was given for the New Zealanders to advance on the morning of October 12th, up Bellevue Spur towards the village of Passchendaele. 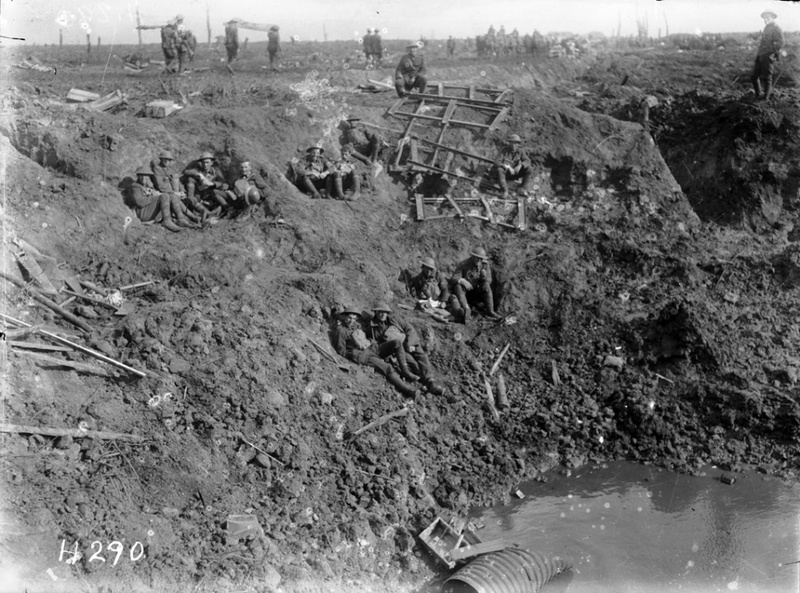 Hundreds were cut down by the machine guns and simply disappeared into the mud. This is one reason why there are so many names on memorials in Flanders to men who have ‘no known grave’ – their bodies were simply never found. 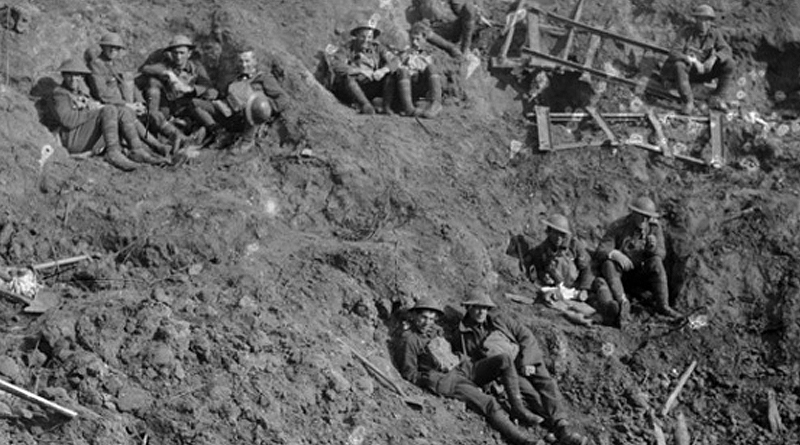 Christchurch lawyer J.K. Moloney was in the Canterbury Infantry Battalion and he recalls the next day how hard it was to evacuate any of the wounded men and carry them through thigh-deep mud. He pays tribute to the work of the Māori Pioneer Battalion who stepped in to rescue many of Passchendaele’s wounded.